School of Transportation Engineering, Huaiyin Institute of Technology, 1 East Meicheng Road, Huaiyan, Postcard: 223003, China. With the features of high centroid, high load capacity and high aspect ratio, heavy vehicles are prone to rollover when running at high speeds in the corners, so the study of heavy vehicle rollover warning method presents important realistic meanings. 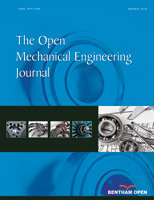 In this paper, firstly, the composition of early warning systems is analyzed, and then the principles of rollover warning method based on suspension distortion perception are proposed; Secondly, the wheels sprung suspension force formula is established when the vehicle is cornering, taking lateral load transfer rate as the rollover warning threshold and the size of wheel suspension pressure warning threshold when cornering is determined; Finally, a test vehicle is taken for example to validate the rollover warning method. The simulation results show that the early warning method is capable of warning the vehicles when in the curve and has a rollover risk to avoid the rollover, thus improving the traffic efficiency in curve.